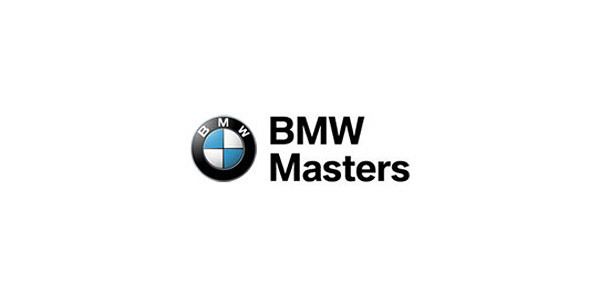 The third of four events on the European Tour’s final series gets underway this week, the BMW Masters. The tournament takes place in Shanghai, China and a very strong field has assembled itself for this event. The likes of Henrik Stenson, Sergio Garcia, Patrick Reed and Martin Kaymer are all competing and they’ll inevitably bring in the big crowds. Last year’s winner was Marcel Siem who beat Ross Fisher and Alexander Levy in a playoff to record his fourth victory on the European Tour. Lake Maralen has hosted the past three renewals of this event and it proved to be an exciting venue once again in 2014. The course was designed by Jack Nicklaus and the par 72 plays a lengthy 7,594 yards which immediately suggests that the bombers have the advantage around this track. Last year’s top five could all get the ball out there and driving distance is certainly something I’ll be looking for from my selections this week. The fairways are generous, which again favours the bigger hitters and with conditions supposedly soft, they are at a huge advantage around this golf course. Finally, the golf course is very exposed to windy conditions, which will have a huge effect on scoring if the wind does get up, therefore the ability to play well in the wind is beneficial this week. Matthew Fitzpatrick – I’ve been seriously impressed with Matthew Fitzpatrick this season, he’s ranked 12th in the Race to Dubai and is only 21 years old. He’s recorded nine top ten finishes throughout this season and that includes a victory in the British Masters a month ago. Last week the talented Englishman finished 7th in a world class field in the HSBC Champions which indicates his games in superb shape ahead of this week. Admittedly, Fitzpatrick is yet to play this week’s venue but that doesn’t put me off, he’s played superbly around most courses this season. Kiradech Aphibarnrat – Three time European Tour winner Kiradech Aphibarnrat has showed what a quality player he can be throughout this season. He’s won twice this year and comes into the BMW Masters in excellent form. Aphibarnrat has finished 30th, 3rd, 4th and 5th in his most recent start which suggests his games in great shape and Lake Maralen really suits Kiradech. He’s a long driver of the ball and he won the Paul Lawrie Matchplay in windy conditions this year, therefore I reckon he’s a great value bet at the given price this week. Haotong Li – Haotong Li is a very interesting player, he had a poor season on the Web.com Tour but impressed in some much bigger events. He finished 2nd in the Shenzhen International and 6th in the Volvo China Open earlier this year on the European Tour, both events were played in China. Last week in the WGC HSBC Champions, an event which contained the likes of Jordan Spieth, Rory McIlroy, Dustin Johnson and many more stars, Li finished in 7th position which suggests China brings out the best of him. Finally, Lake Malaren is Li’s home course, which is a huge advantage in my opinion and he’s well worth backing again in China.